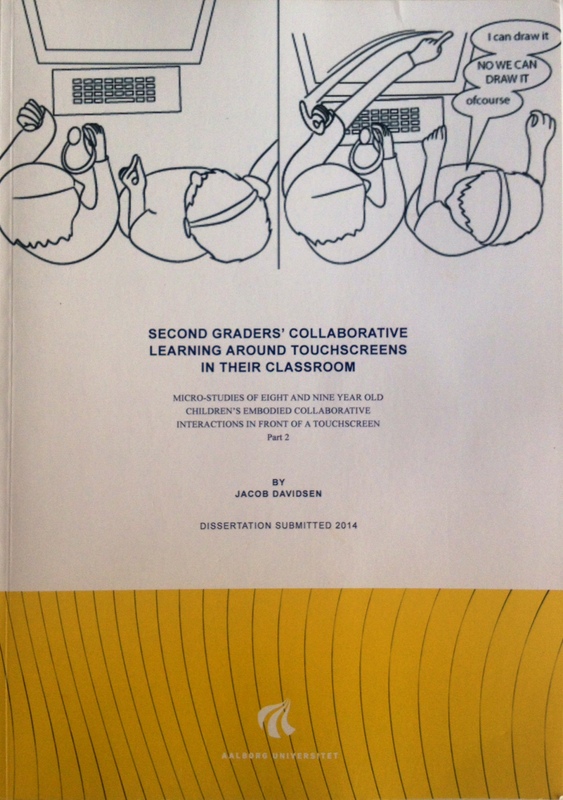 November 4th 2014, Jacob Davidsen defended his PhD dissertation titled “Second graders’ collaborative learning around touchscreens in their classroom: Micro-studies of eight and nine year old children’s embodied collaborative interactions in front of a touchscreen”. 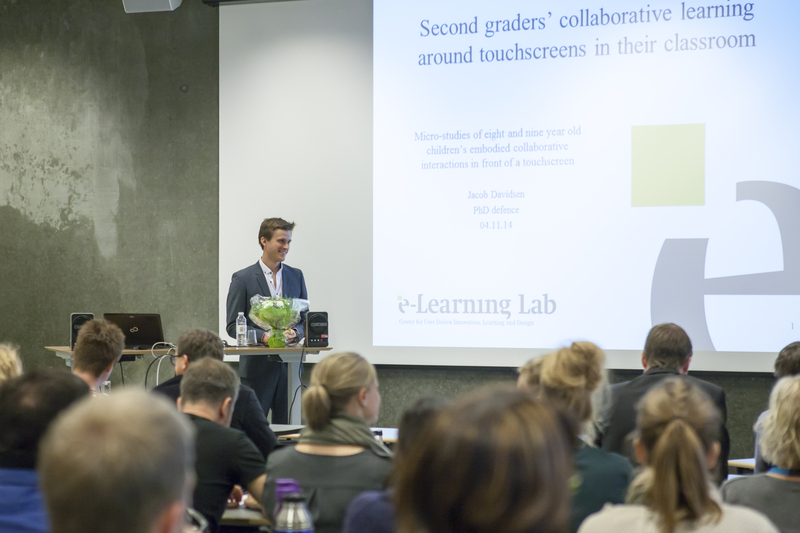 In this thesis, Jacob Davidsen explores, analyse and discuss how eight- and nine-year-old children’s embodied collaborative interactions around touchscreens unfold. Having conducted micro-studies on children’s embodied collaborative interactions around touchscreens, he found that children’s body movements and, in particular, their hand movements, are crucial for their collaborative activities around touchscreens. The data comprise 150 hours of video footage and ethnographic observations, all from a yearlong study of naturally occurring activities in two different second grade classrooms at a public school in Denmark. The research is rooted in the research field of computer-supported collaborative learning, ethnomethodology and embodied interaction analysis. Assessment committee: Professor Thomas Ryberg (Aalborg University, Denmark), Associate Professor Palmyre Pirroux (Oslo University, Norway) and Associate Professor Oskar Lindwall, Gothenburg University, Sweden.